From its earliest days, the U.S. Government took an active role in the protection of the country’s shores and an interest in building and maintaining aids to navigation. The period from George Washington’s presidency to one decade before the Civil War laid important groundwork for the establishing and administration of lighthouses, but it was also a time penny-pinching bureaucracy which ultimately endangered maritime commerce. No longer would each colony/state control their lighthouses. The first half-century of United States lightkeeping is an era of contrasts, contradictions, and challenges. As the nation debated interpretation of the constitution, it also questioned how lighthouses, their funding, and their administration should fit into the national setting. Lighthouses are clearly part of America’s history and democracy debates – living symbols of triumph in the chambers of Washington and the wave-battered shores. 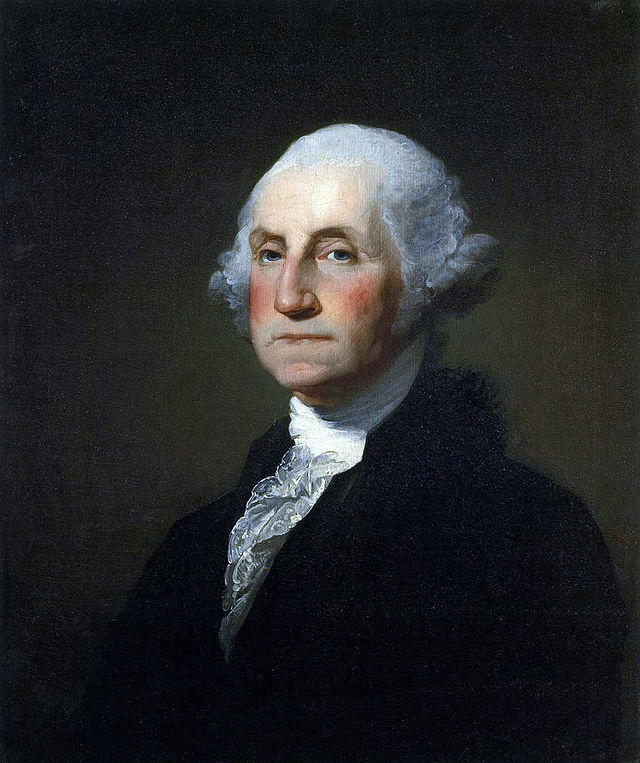 During George Washington’s first year as president, lighthouses were transferred from state to federal control. As the United States was founded, the new nation wanted to encourage commerce between states and international ventures. Keeping the coasts and harbor entrance safe was important. On August 7, 1789, Congress passed a resolution moving all lighthouses from state and local control to the control of a federal agency. The American lighthouses would be supervised by officials in the Treasury Department through the 20th Century. For its first years, presidents directly oversaw the orders to build new lighthouses and handled details of the administration. However, as the government and lighthouse system expanded, other individuals within the Treasury Department took over the correspondence, decision making, and detailed information collection about American lighthouse. 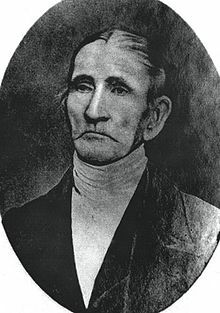 Stephen Pleasonton is a “giant” in early American lighthouse history. In 1820, he was the fifth auditor of the U.S. Treasury and his duties including overseeing the lighthouses. Without a maritime background, Pleasonton and his team of clerks set out to expand and streamline the system. Pleasonton both helped and harmed the lighthouses. He was enthusiastic. He directly oversaw day to day proceedings and reports from the establishments through his district inspectors and called the “final shots” when big decisions had to be made. Under Pleasonton, many new lighthouse and lightship locations were established. By 1842, the system had grown to include 256 lighthouses and 30 lightships – an impressive number for the young nation. While the new additions of aids to navigation were excellent, there were also some flaws in Pleasonton’s system. One of the major issues was his tight budget. Now, don’t misunderstand me, running a government agency on a slim budget is a commendable feat, but Pleasonton was so tight-fisted that he actually reduced the effectiveness of his lighthouses and lightships. For example, he boasted to Congress about his thrift, comparing his economy and praising himself for running American lighthouse on one-third of the amount that England spent on their lighthouses. Well, what he failed to mention – England had a top-notch, world-class light system…while America was far behind in standardized administration and lightkeeping technology. Pleasonton can – and should – be credited for expanding the American lighthouse system. He was trying to please Congress with his tight budget, but in the end that led to investigations. Ultimately, he didn’t fully understand the gravity and life-saving importance of aids to navigation. 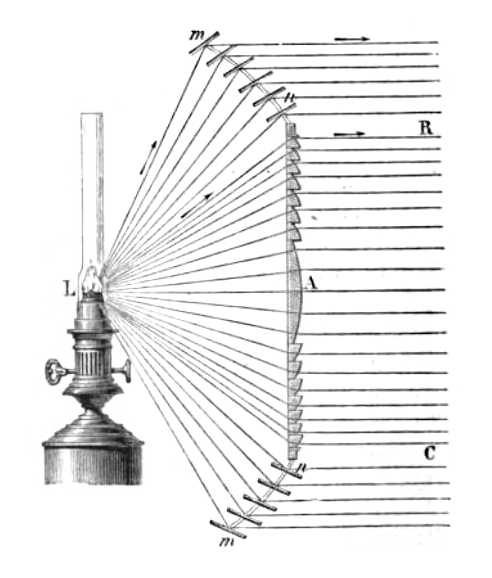 Diagram of a Fresnel Lighthouse Lens – it was the new lightkeeping technology, but Pleasonton refused to upgrade, saying it would be too expensive. Complaints from mariners and others continued for the next decade. By 1847, Congress moved construction of six new lighthouses to the supervision of the Corps of Engineers – taking that job away from the Fifth Auditor. In 1851 another investigation of the lighthouse system was launched. This one thoroughly examined the situation, studied “modern” lighthouse systems in Europe, and pronounced the United States in dire straits with their lightkeeping standards, procedures, technology and enforcement. Congress awakened to the troubles and voted to establish a lighthouse board; this creation happened in 1852 and will be discussed in more detail next week. Although the legendary age of American lightkeeping comes during the Lighthouse Board and Establishment eras, the aids to navigation in the first half-century of American History were a positive advancement. It’s pretty amazing to think that by 1842 there were nearly 300 official U.S. government supervised light stations in the country. That number would grow exponentially in later years, but all good systems start somewhere. Even with his eye on the budget rather than the purpose, Stephen Pleasonton hustled the American lightkeeping system into a semi-effective organization. The foundation was impressive and much of that credit does go to Mr. Pleasonton. He stabilized the establishment system and in an era with limited communication and distance between lighthouses and Washington – that is a commendable accomplishment. We can reflect on the challenges of the early days of American lighthouses and we’ll discuss the changes that occurred in the 1850’s to launch the system into the “modern era” of lightkeeping – 19th Century style.